Or so says Jon Michail who’s making a name for himself as an advocate for regular professionals. We all read of actors and sports stars engaging the services of a good agent to negotiate contracts and provide general guidance and advice on how best to pursue career opportunities, like Ari Gold in the popular TV-series Entourage. However, it may come as a surprise to many that similar real world advocate services are now increasingly utilised by mid and senior level executives and entrepreneurs wishing to fast track their careers. While qualifications and experience are always important in any interview process many professionals in the past have failed to recognise the value of having an experienced agent on board when endeavouring to build an individual “brand” that will ensure more promotional opportunities and greater success in any interview process for a new role and business opportunity. An internationally awarded leader in this emerging agency area is Jon Michail, CEO of Image Group International, an Australian based multi-million dollar corporate brand image advisory and coaching organisation, established in 1989 and now represented in over 18 countries worldwide. Michail is recognised as Australasia’s No.1 image consultant because his ethos embraces much more than the traditional concept of an image makeover or an executive search service. “I act as part executive lobbyist, part career coach and part confidante” says Michail, “I help my clients define what they want to do, where they want to work, what brand image they want to foster and convey, and once this is clearly established I then identify openings and opportunities in the marketplace; I prepare them well for interviews and am also there to assist with salary negotiations”. Many professionals and business executives may be experienced, well qualified and prepared to put in the hours, but in today’s competitive marketplace and tough economic environment they will often fall short and fail to gain promotions or maximise new career opportunities. There are few consultants in Australia that can match Michail’s experience and success as an executive agent specialising in image management. He has won many national and international accolades and is the only Australian to have won the International Image-Maker of the Year USA Award. 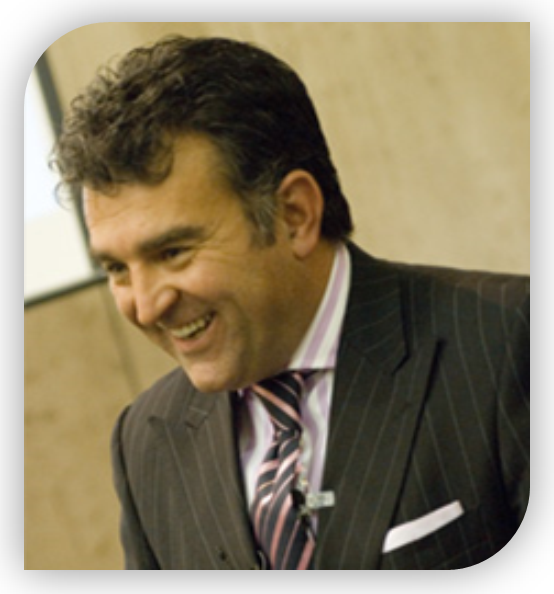 Over the past 20 years he has assisted many organisations and coached individual executives to present themselves in a manner that builds, compliments and enhances their personal and corporate brand. The results speak for themselves. Executives and business persons who retain his services credit Michail’s holistic approach to image transformation for improving their personal dynamics, communication skills and increased influence within the business environment. This in turn has fast tracked promotions and positioned them to take advantage of greater opportunities within their own company or the wider marketplace. Susan Rowlings* was at the cross roads and looking to make a career change but was not sure she had the skills or confidence to make a move into a different role within her organisation. She wanted a new look and a new attitude and approached Image Group International to help her develop a re-vamped brand image. As Susan says, “I never really appreciated the impact one’s appearance, speech and general demeanour can have in an interview scenario for a job promotion, I was under the impression that my resume should speak for itself”. After a six month one-on-one coaching course with Michail, Susan was able to present herself as confident, well-groomed and professional with a differentiated twist. Image Group International conducts seminars, workshops and one-on-one coaching sessions all of which have appealed to organisations, CEOs, executives, politicians as well as entrepreneurs looking to build their businesses and extend their reach beyond their local area to national and international markets. Steve Richards* was a franchisee in Sydney who needed increased profitability, re-branding and heightened awareness of his company. Prior to getting on board with Image Group International, Steve did not fully understand how to engage his franchisees and meet their changing expectations in his owner’s role. Michail’s coaching sessions involved working with Steve to firstly identify new directions and parameters for his business and then sticking with him to ensure that he actioned his plans and theories to produce tangible results. Clients of Image Group International are unanimous in their view that the organisation gives great value for money. The firm may charge a coaching fee or a percentage of a client’s gross salary as an annual retainer. Note: Names have been changed to protect the client. © 2015 Successful Business | This article first appeared in Successful Business in June 2010. Jon-Michail is Group CEO of Image Group International, Australasia’s No. 1 image coach. Image Group International supports executives, entrepreneurs and their organisations to develop and monetise their personal and corporate brands to maximise their leadership potential.